Fire Claims Adjuster - Michigan Fire Claims Inc. Fires often result in serious property losses and even injuries. After a fire loss, the insured has a lot to deal with, from securing the property from further damage to caring for family members to finding temporary accommodation. If the fire damaged property was a business or commercial property, the owner or the business manager has even more worries: attending to employes, contacting customers and business partners to ensure business continuation and avoid potentially catastrophic business losses. Most homeowners or business owners find it difficult to find the time or resources to focus on what it is the most important factor for their post-fire financial recovery: the insurance claim process. Often, they look for relief and place their hopes for their recovery with their insurance company and its adjusters. In most cases, this works against the insured. The insurance company’s financial interests are not aligned with those of the insured, quite the opposite, the insurance claim process is a zero-sum game, in the sense that your gain is their loss. On the other hand, a public adjusting company like Michigan Fire Claims Inc. will work exclusively on your behalf to help you successfully navigate the insurance claim process, and maximize your settlement. We are on your side! When it comes to fire damage, even a relatively small fire can cause serious property losses, not only from the fire itself, but also smoke and soot damage, and water damages from extinguishing the fire. Fire losses result in property damages that are particularly difficult to uncover and appraise. It takes more than experience to properly assess a fire damage loss – it takes an adjuster that has your best interest at heart! Michigan Fire Claim will not only be 100% dedicated to your cause but also has a most competent team of fire claims professionals, including fire damage appraisers, building and content estimators, public adjusters and support staff, that will work on your behalf to properly evaluate the scope of the loss and leave no damages undiscovered. When working with us, you can rest assured that all fire losses will be properly appraised and submitted with your insurance claim, and you won’t end up paying from your own pocket for losses otherwise covered. Insurance policies are not always easy to understand. They use many legal terms and insurance industry jargon that most people are not familiar with. Also, some sections of your policy are open to interpretation and/or negotiation. Understating the terms of your insurance policy is of critical importance to the success of your claim, as you need to fully understand both your rights and responsibilities outlined in your homeowner’s insurance policy. Our public adjusters will help you understand the full extent of your insurance coverage. We’ll review your insurance policy right from the start and we’ll conduct the insurance claim process according to the provisions, terms, and conditions of your policy, helping you avoid the common pitfalls insurance companies count on to reduce the claim payout. Fire restoration and clean-up are involved and expensive processes; therefore, an expedited and successful claim process, to get the funds quickly and start the cleaning, fire restoration or construction, is one of the most important factors for your financial recovery after a fire. 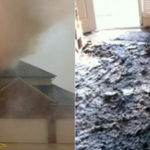 As the leading public adjuster company in Michigan, Michigan Fire Claims in in the best position to help. Our team of appraisers, estimators and public adjusters will work on your behalf to assure the best possible outcome from your insurance claim. Following a fire, most homeowners will call their insurance company and look to hire a fire restoration company to start cleaning and rebuilding the property. However, that is not the most financially sound decision. 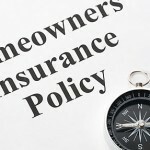 Getting an independent appraisal for your losses, discussing your policy with a public adjuster, getting professional help with filing the claim and understanding all your rights and responsibilities under your policy, and all your options, some that may not be presented to you by the insurance company adjuster, is generally a much better approach. 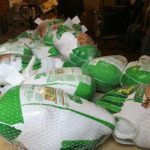 Hiring a fire restoration company right away, before evaluating all the options, may, in the end, be a huge cost out of pocket, as, for example, is in the case when the property was severely damaged and is more advantageous to take a total loss, instead of proceeding with the fire restoration. You should consult a public adjuster before hiring a fire restoration company or starting the fire reconstruction process. The public adjuster will be in a better position to estimate accurately and properly document the fire losses for the claim process, and will also relieve you of many time-consuming tasks related to the fire claim process, including damage appraisal, paperwork related to filling the claim or mediating with the insurance company. Even a small fire can make a home or commercial building unusable, not just from structural fire damage, but also from smoke and soot damage, that are harder to detect and clean. Burning of carpets, furniture, and plastics will cause thick, black smoke and acid soot that builds on walls, floors, and furniture, and will irreparably damage them if not promptly and properly removed. To restore a safe and healthy environment, it is crucial to employ professional help. Even if the effects of the fire on the structure were limited, removing smoke odor, soot, cleaning and sanitation are expensive, specialized services. Because of the high cost, the insurance claim you submit needs to be properly documented and the fire losses accurately estimated or you may end up with a settlement that doesn’t cover all the fire reconstruction costs. 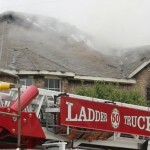 Fire claims are particularly complex for the insured and usually expensive for the insurance companies. Do not expect the insurance company to be very accommodating. For most fire claims, the insurer will thoroughly investigate the circumstances of the fire to prevent fire claim fraud, and take measures to minimize their losses. They may require the homeowner to submit an examination under oath or a recorded statement. The days following the fire are crucial for the positive outcome of your insurance claim. Missing important deadlines, not understanding the terms of your insurance policy, making errors when completing the forms, or relying just on the appraisal put forth by your insurance company, may result in a smaller settlement, even a denied claim. By working with a public adjuster from the start, to help discover and thoroughly appraise all the fire losses, file the insurance claim properly and on time, and negotiate with the insurance company from an equal footing with the insurance company, you will secure the best chances for a successful claim. It will also leave you more time to deal with the other important aspects of your situation post-fire, and bring relief and peace of mind, knowing your claim is handled by qualified professionals. 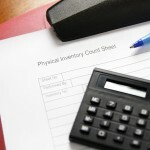 Do you need an independent appraisal of your fire losses? Advice on filing the claim or interpreting your policy? Still waiting on the claim money from the insurance company to start the fire restoration of your home or business? We can help! 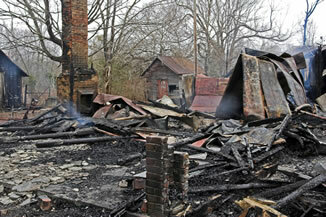 We provide all services related to fire loss appraisal, fire claim preparation, filing and settlement recovery. With hundreds of successful fire claims processed every year throughout Michigan, we know just what it takes to get the best settlement for your fire claim. » More about Michigan Fire Claims Inc. Contact us today for a free consultation or site inspection. You’ll be impressed with what we can do for you!